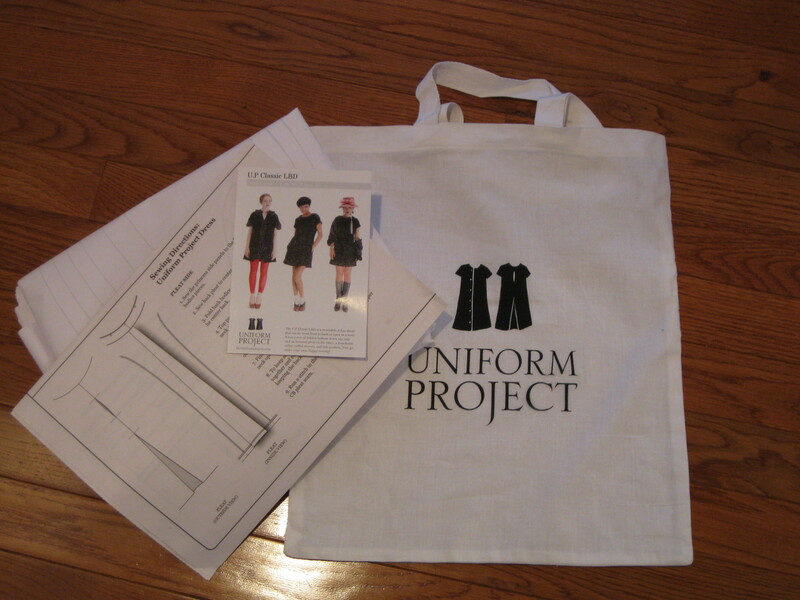 A few days before Thanksgiving, my Uniform Project LBD pattern finally arrived. It appears that this well-intended project ran into a number of obstacles and in the end there were barriers to doing the right thing for those in need. Printing and mass producing a pattern wasn’t as easily accomplished as originally envisioned, resulting a time-span of several months from the time of the pattern release until it was in the hands of those who placed orders. During these months, there were frequent and apologetic messages from the team at The Uniform Project. The pattern was printed on standard paper and came packaged in a tote bag. What a nice touch. Now I can’t wait to make a wearable muslin for one of my daughters. Do you also wonder if it really will be able to be reversed and still look fashionable? What type of fabric would you use? Would it be odd to make a red LBD? Of course, that’s in line after the 6 or 8 current projects which are in the queue.